My 8 year old daughter is recently more interested in projects with practical applications. We built this working hygrometer after discussing weather forecasting techniques. We have a big collection of The Magic School Bus picture books at home, and Smarty and I decided to have a game with them. Every so often we randomly pull one book and read it with a goal to do a science experiment based on the book. Smarty was excited when we pulled The Magic School Bus Inside a Hurricane book – she said that this is one of her favorites. I have to say that this is a very comprehensive book about weather! Even I discovered a few facts there that I didn’t know before. My first suggestion to Smarty was to make a thermometer, but Smarty asked whether this thermometer will be able to really tell the temperature. She then said that she wants to build an instrument that would actually work. So we did a YouTube search and watched a short (somewhat old) movie about weather instruments and weather forecasting. After that we discussed the movie and the instruments mentioned in the movie. Smarty was mostly interested in a barometer (measuring air pressure) and a hygrometer (measuring air humidity). We then looked at some videos explaining how to make a barometer, and Smarty yet again commented that they don’t seem to measure air pressure, but just showing a general direction. She was a lot more interested in this video explaining how to make a working hygrometer. 2 thermometers where bulb is accessible. We purchased these thermometers on Amazon. To make a wet bulb, we simply packed paper towel around it and secured it with some masking tape. Then we attached thermometers to an empty water bottle with more masking tape, tied the string, around the handle, and it was ready to go. If you are not whirling your hygrometer in a thick fog (and we certainly didn’t), you observe that a wet bulb thermometer will read lower temperature than a dry bulb thermometer. This is because as the water evaporates, the bulb is cooled. In general, the drier the air, the greater is the drop in temperature. You then calculate the difference between two readings and enter your data in this online relative humidity calculator. We compared our hygrometer results with online humidity data, and ours was thinking that the air was more humid – perhaps we were not patient enough with whirling. But still, Smarty, was quite satisfied with her “practical” science project and was amazed to see how much the moving air can cool the bulb – she could also now understand the principle behind her Arctic towel - she begged her father to get one for her, because her tennis coach had one. What kind of science fun have you had lately? More Earth Science for Kids? What a great science experiment! Ha ha ha ha ha, I can just imagine how that would go over in my house. One of my kids WOULD hit the other in the face as it was spun around. Mrs. Frizzle inspired quite a project! Thanks for linking it up at the Thoughtful Spot to share with us! 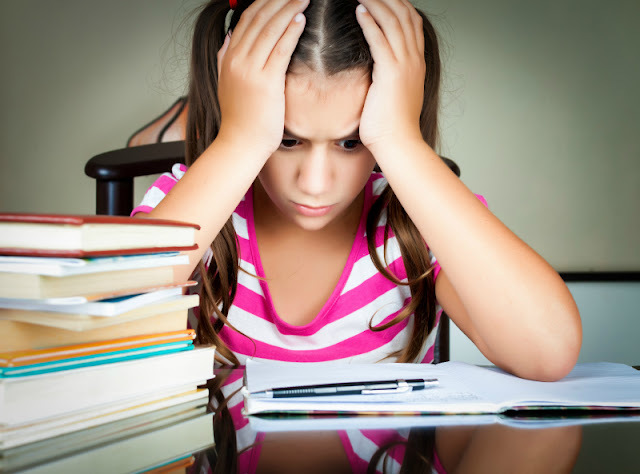 Do Children Need Summer Homework?